Sean Tobin helped transform the athletics program at Ole Miss, now he hopes to build something special in Dublin. Before reading my blog and to provide some context, watch this post-race interview after I ran my first sub four minuted mile. It was January 2014 and I was 19 years old. I started at Ole Miss (University of Mississippi) in January 2014 where there was no NCAA cross country appearances, no distance tradition, school records of 3:44 1500m/ 4:04 mile and a team looked down upon by other NCAA teams. Five years later a lot has changed, there now has been five straight NCAA appearances, a distance powerhouse, school records of 3:36 1500m/ 3:54 mile and a team that’s now feared by other NCAA teams. Five years ago top high schoolers wouldn’t even consider Ole Miss, now it’s one of the first they’ll look at. I now have moved on from Ole Miss and the NCAA. I left Ole Miss and the NCAA frustrated, upset and feeling like a failure, but I have come to peace with it, and now look back at the fun times and the hard-learned lessons. I experienced every type of emotion, extreme highs and extreme lows, but I couldn’t have asked for a better coach and teammates. Ole Miss is now left in the hands of a younger generation. They have seen some of the hardship it’s taken to build the program and a have coach who’s now five years older, smarter and continues to learn. Well, here I am five years later in a similar position, starting all over with a new group full of talent, hunger, passion and led by a young coach with a big heart. However, the Dublin Track Club will face many more challenges than Ole Miss. 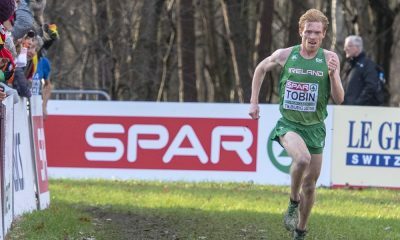 No scholarships, no free kit, no budget just the drive to bring Irish distance running back to respectable standards. We have some advantages though, we start with great leadership from athletes like Shane Healy who’s been to the biggest show on earth, the Olympic Games and Gary O’Hanlon the man who continues to improve with age. 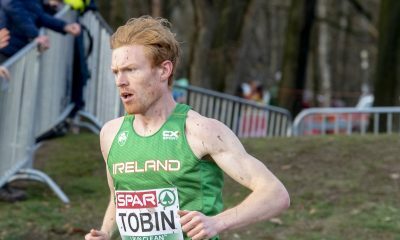 I have faith in the Dublin Track Club becoming one of the best training groups in the world, but it’s not going to happen overnight. There will be challenges, along with the highs and lows. But the group, that just started over a year ago with the vision to create a world-class training group, has already made some major steps. Ireland has been missing a major training group for years and now we are building something that is open to all who are willing to come with an open mind, wanting to improve, willing to work together and an ego that’s left at home. Thanks to Richard Donavan of Global Running Adventures I was fortunate enough to start 2019 training in Australia with the Melbourne Track Club. I have spent the last month in Falls Creek working hard and learning as much as I can from the world-class training group. Already I have learned countless lessons from the group and look forward to bringing them back to the Dublin Track Club. This year has started with lots of passion, hunger and a drive to not only develop myself and a group but to also raise the standard of Irish distance running. The work will be put in this year and we hope to be rewarded with the opportunity to compete at the world greatest show in 2020.